The community is invited to Redding Grange for their Annual Fair to be held Saturday, September 22nd from 10:00 AM to 2:00 PM, at Redding Grange Hall, 399 Newtown Turnpike Road, Redding, CT. The day will include an Attic Treasure Sale, Baking, Plants, a Raffle and more. Admission is free. Redding Grange has been serving their local community for 79 years. For more information, contact Marge Sendewicz at 203-744-1656. 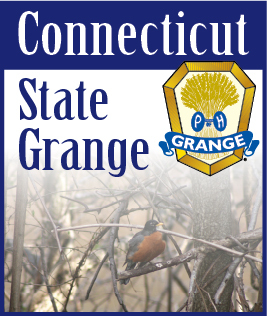 Information on the Granges in Connecticut can be found on the Connecticut State Grange website at http://www.CTStateGrange.org.